I know a lot of people prefer to put their kids to bed at the normal time on New Year's Eve; I'm sure it does make them easier to get along with the next day. But I love having them up. It is quite amusing to watch them ring in the New Year. The problem is, they can get crabby waiting for midnight. I mean, I even get crabby waiting for midnight! We started doing an hourly countdown a few years ago to keep the kids busy throughout the evening without whining. And surprise, surprise, they keep me from whining too. Each year we have varied our countdown to make it more entertaining for the kids (and again for the one planning it). We have had a basic balloon countdown, a geography countdown, and a mystery countdown. 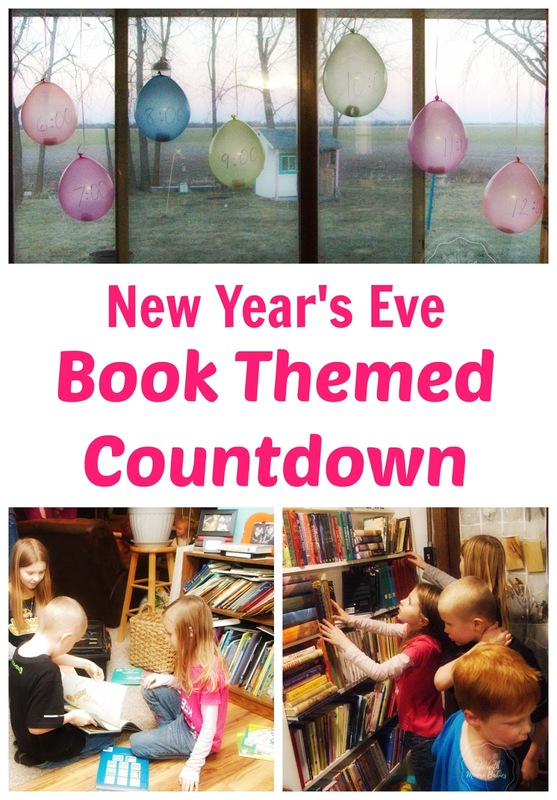 Now we are adding a Book Themed New Year's Countdown! Like me, my kids love books. The love listening to stories and reading stories, and they love activities that go along with the stories. 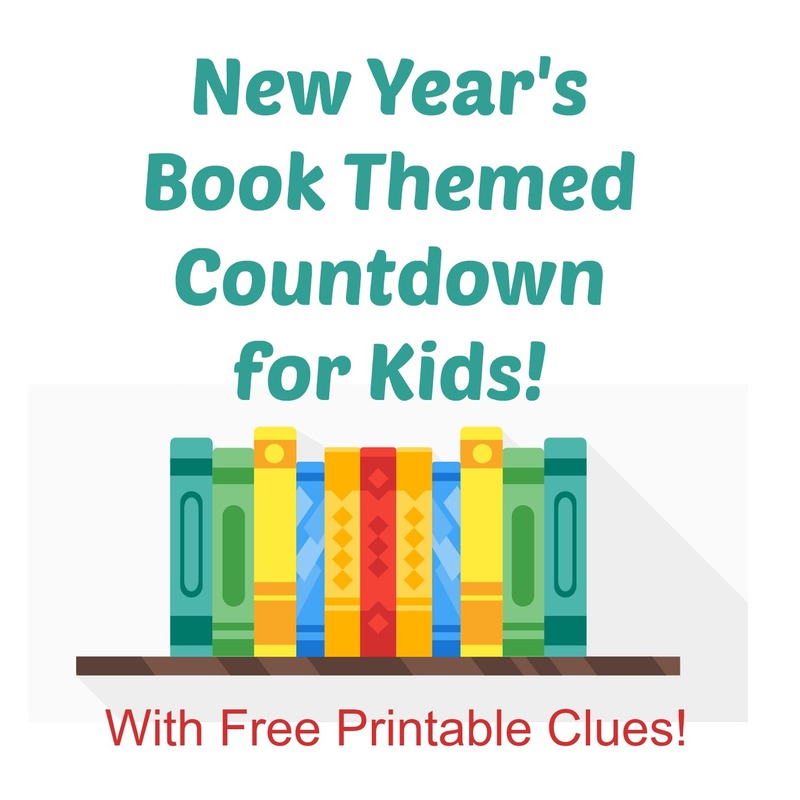 So we decided our countdown clues would all be based on books I knew my kids had either read or listened too, and you can do it too! Figure out how many hours you need to cover. 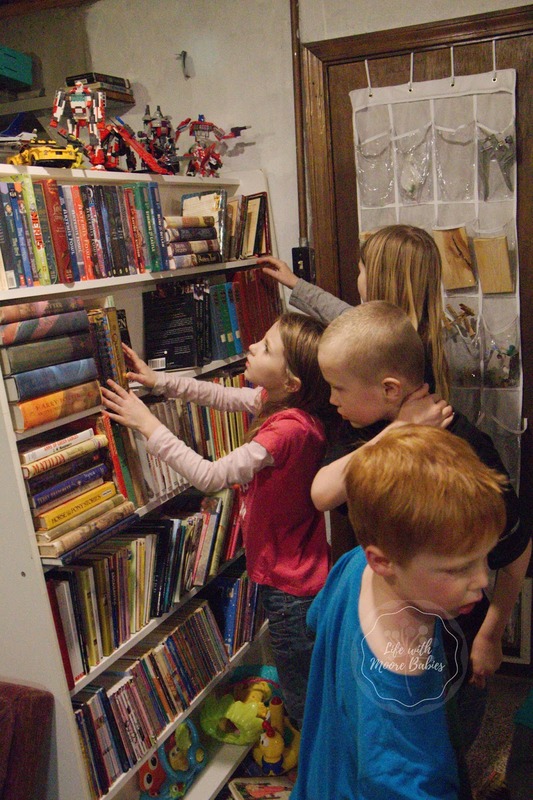 Find the same number of books your kids are familiar with. Choose which book will be last. Make a puzzle leading to that book. Cut puzzle into the same number of pieces as you have remaining books. Hide a puzzle piece in each book. Write clues for other books. 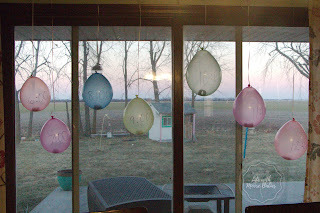 Place one clue in each balloon. 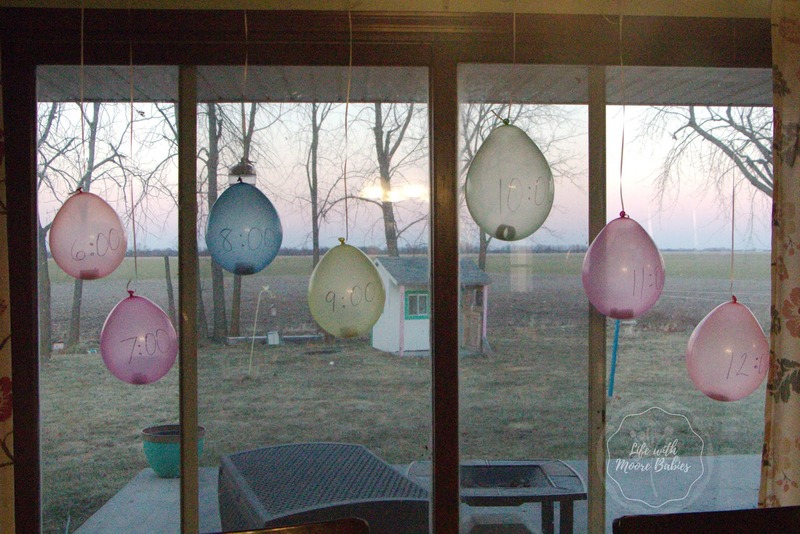 Blow up balloons and label with hour. Create clue to lead to final prize and place in final book. Got it? Clear as mud right? Well, it isn't nearly as hard as that list makes it sound. 1. Start by figuring out how many hours you need. We start ours at 6 pm, so we need 7 books to get us to midnight. 2. Now find that many books that your kids are familiar with. 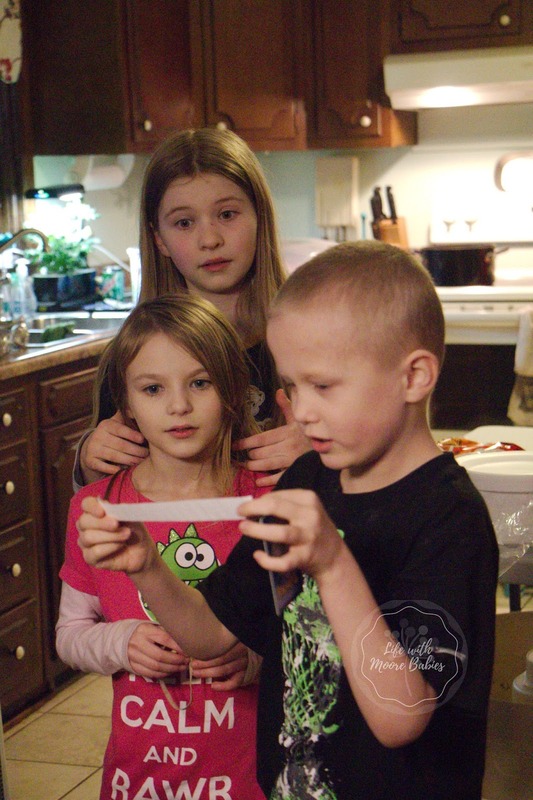 We had a variety of ages, so we tried to be sure there was a clue in there all the kids at our party could answer. We chose some picture books, some I knew we had read aloud, some the kids read on their own, and even some that had a movie version just in case they didn't remember the book. 3&4. Decide which book to make the final book. We made our final book "Dinosaurs Before Dark" simply because we found a picture of a dinosaur in front of a sunset that could be used as a puzzle. 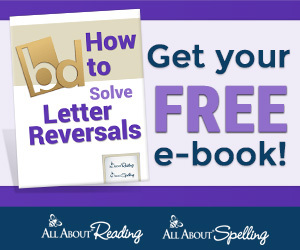 You don't have to use a picture puzzle; a word puzzle or a letter jumble would work too. 6.Now hide a piece of the puzzle in each of the other books. This step was really self explanatory. 7. Now for the clues to fill your balloons. You need to write a clue that points to each book containing a puzzle piece. These clues need to be pretty obvious or the kids won't get it. For Curious George: "Find this piece of the puzzle in the book with the man in the yellow hat." For Harry Potter: "This puzzle piece is found with Magic and Muggles." For The BFG: "Find this puzzle piece among the Snoozcumbers." 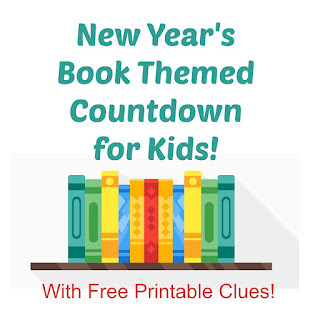 Since I know these can be hard to come up with, I've included free a picture book clues printable as well as a juvenile chapter book clues printable below. 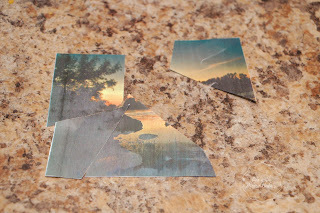 You can even cut up one of the clues to be your puzzle! Now once they have all the puzzle pieces they can assemble it and solve the picture or word clue to find the final book. 10. In the final book, place a clue to where the prize is! We always have a small prize for solving the mystery, but it could also be a special treat or just a hearty congratulations or it could be a new book! 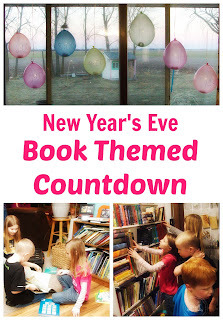 This book themed countdown was great for keeping the kids busy and happy all of New Year's Eve. Plus they got to explore books and flex their mind muscles. And watching their enthusiasm, especially when they know something about books, was super exciting for me. 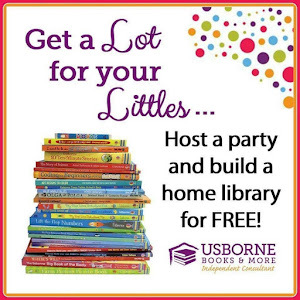 Anything that can encourage them to explore books and encourage them to read is a win in my book! We have even started a New Book New Years Tradition to help encourage an easy and book filled start to the New Year! Download your free Picture Book Clue Printable HERE! Download your free Juvenile Chapter Book Clue Printable HERE!